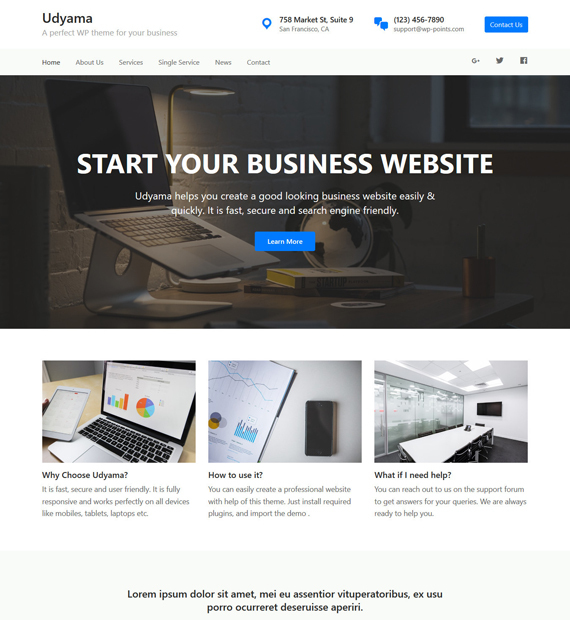 Udyama is a free theme for WordPress that features a clean and minimal design. Built to best suit a business website, this theme is also fully responsive across all devices. To get started, you can simply import the demo and have a good looking website to attract visitors in no time. On top of being simple to set up, Udyama is also search engine friendly and translation ready with RTL language support. If you are looking for a user-friendly and neat looking theme then Udyama is definitely for you.